With more than 160 stations distributed throughout the continent ( Spain, France, Luxembourg, Belgium, Germany, the Netherlands, Austria and Slovenia), the International Network of Andamur puts at the disposal of companies and professionals of the transport everything you need for a simple, safe and effective fleet management – aspects such as the VAT refund, the introduction of a single device of tolls for several countries or security – along with the advantages that offers us ProEurope card – make Andamur the all-in-one solution for all type of international routes. Whatever the size of your fleet, Andamur ProEurope card offers the best solutions for easier management and cost-effective, with services adapted to the needs of each company. Thanks to its coverage in more than 160 service stations, the ProEurope card is perfect for operators with routes in Europe, allowing you to easily manage the costs associated with the payment of fuel, Adblue and everything related to the Pas-de-Calais Security Parking. In the field of tolls, Andamur count on tailored solutions to each client, being able to drive along the road in a more dynamic way; toll devices that will simplify the management of your fleet, through a periodic payment and to the possibility to recover the VAT. Tribox Air is a satellite toll device, with which, in addition to receiving a single periodic fee, you will be able to make a GPS tracking of each vehicle at any point of Europe; benefits with a high safety index for full control over your fleet. It should be noted that this appliance offers an increase in the number of locations; acting in Spain, France, Portugal, Belgium, Belgian Tunnel, and soon Austria and Germany; in addition, with the purchase of this service, you can enable or disable countries at no additional cost. Easy to install, and delivered in a maximum of 5 working days, does not require deposit and gives you the possibility to be linked to another plate number. With Tribox Air, Andamur extends its offer of toll devices in Europe and, together with KAPSCHBOX, interoperable EU, Toll Collect, Toll2GO and GOBOX , enables you to serve in a total of 8 countries: Spain, France, Portugal, Belgium, Germany, Italy, Austria and Poland. If you are a company or self-employed with consumption in countries of the European Union, where you are not established Andamur fiscally, manages the recovery of VAT paid, in addition to benefit from a reduction in the commissions. You will be able to reclaim the VAT by the consumption of any product or service related to your activity: fuel, tolls, hotels, taxis, repairs, use of ferries, attendance at trade fairs, and a long etc. With the aim of offering a quality service, a specialist in recovery of VAT of Andamur manage invoices with each of the countries where the consumption. Andamur customers already count on all the services offered by the Station Marck of Calais (Francia). The location of the C4T of Marck is essential, as it is considered a key point in the itineraries of the international transport in their journey to the United Kingdom, in particular with regard to the E40/A16 & E15/A26. 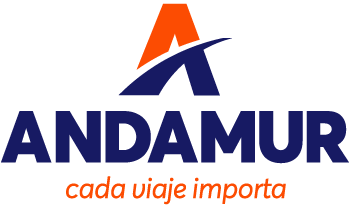 In addition, this station also offers significant advantages in terms of refuelling and parking access, which can be paid by your Andamur ProEurope card. Security parking, with a capacity for more than 300 parking spaces, has systems such as: automated access control by license plate recognition, security controls with loading seal and 24 hours video surveillance camera. Andamur continues to show a steady growth, with the sole aim of providing facilities to the customer and solutions to the needs of the sector, also beyond our borders.